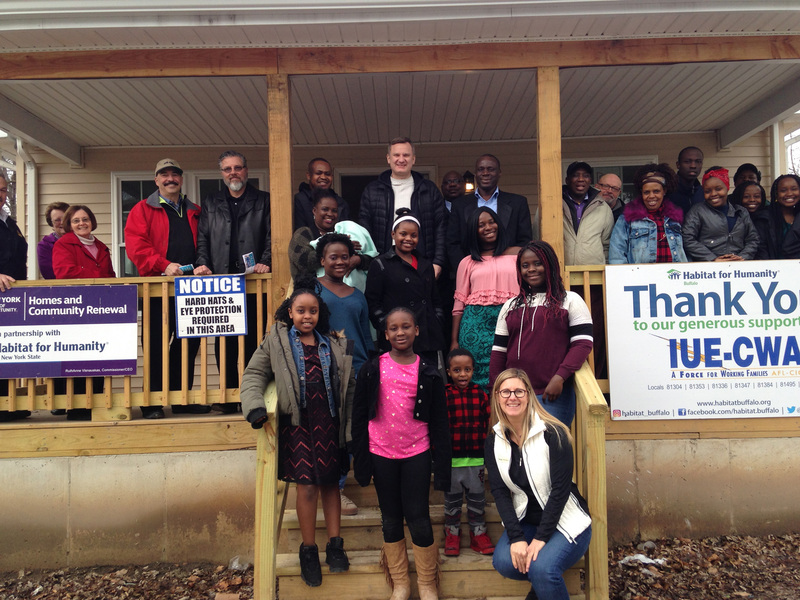 On February 24, 2018, the IUE-CWA Sponsored Habitat for Humanity Home in Buffalo, New York was dedicated. 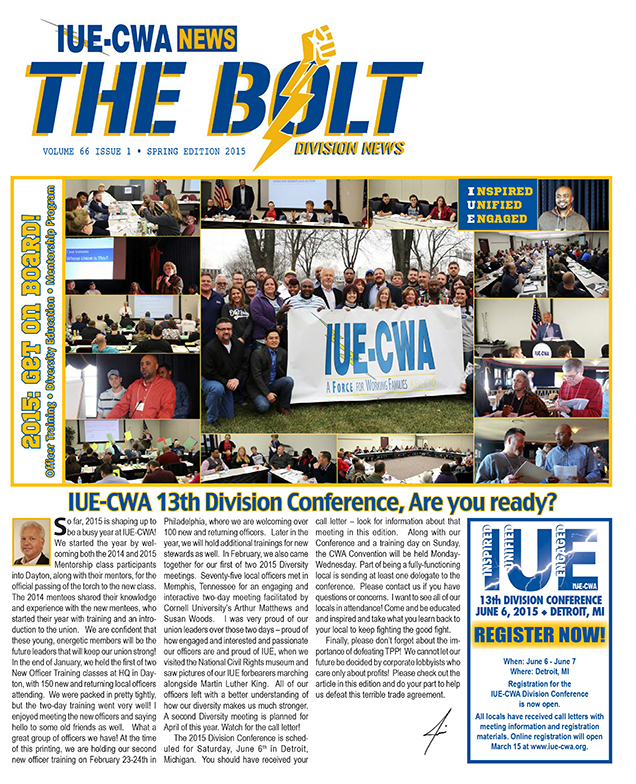 Region 3 Director Joe Giffi and Staff Rep. James Winship represented IUE-CWA. 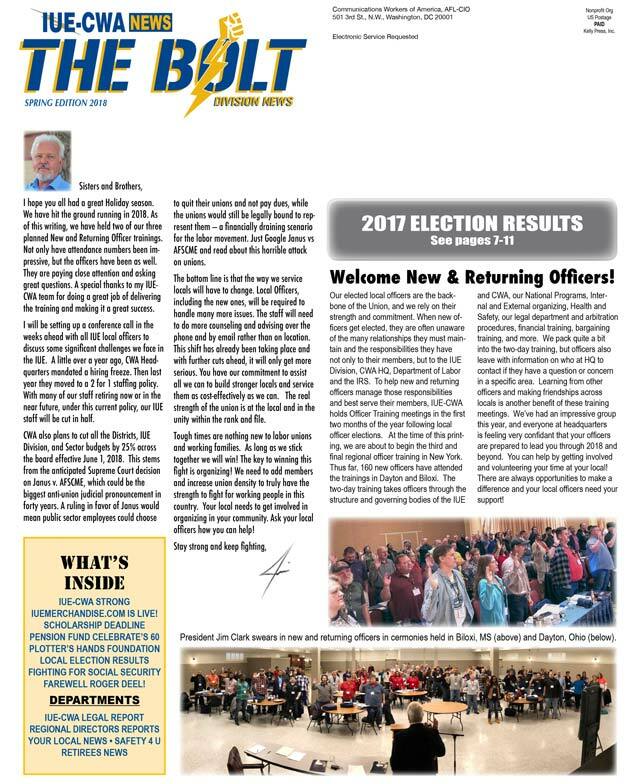 ﻿﻿﻿﻿﻿View the new Call Letter for the South Bend Regional Training. 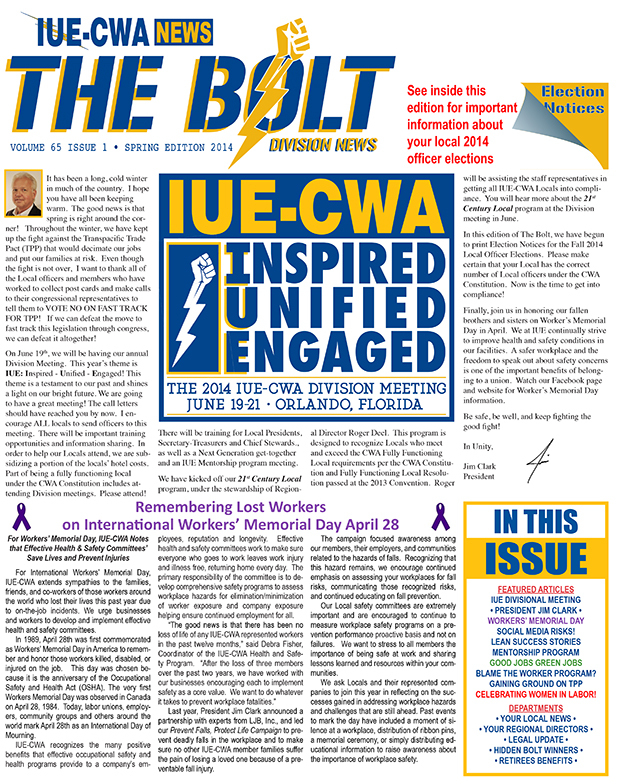 Each year on April 28, the IUE-CWA observes Workers Memorial Day (WMD). 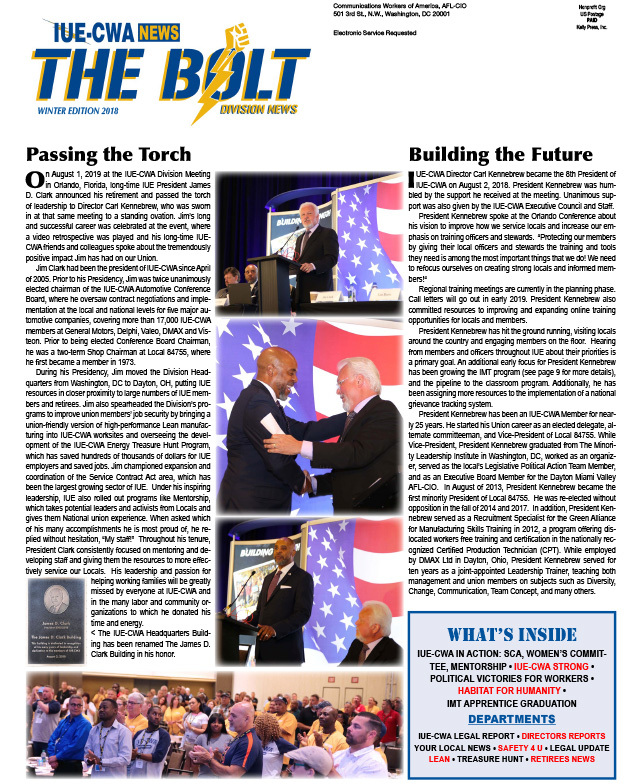 We take this time to remember those who have lost their lives from on-the-job injuries and the thousands more who have been injured each year, and we reflect on how to make certain that everyone who goes to work returns home safely every day. 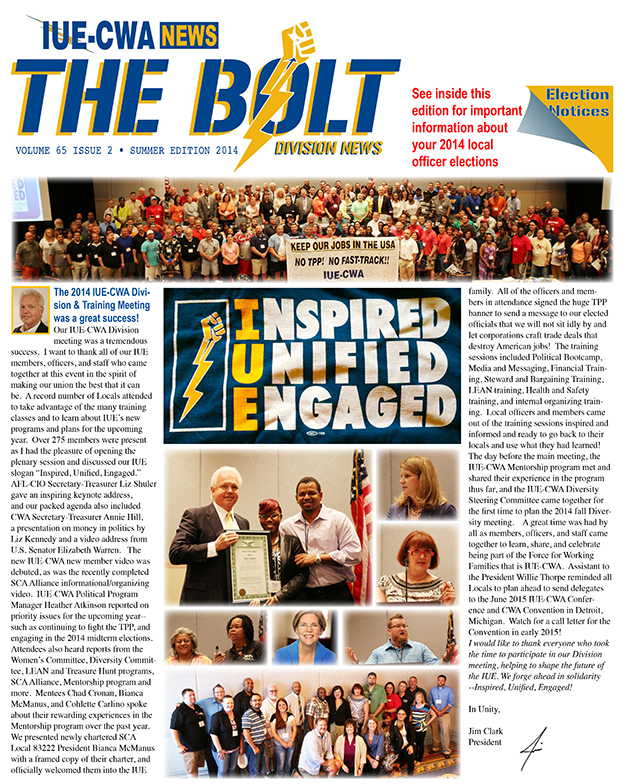 Our current political climate requires that we mobilize and engage our members like never before. 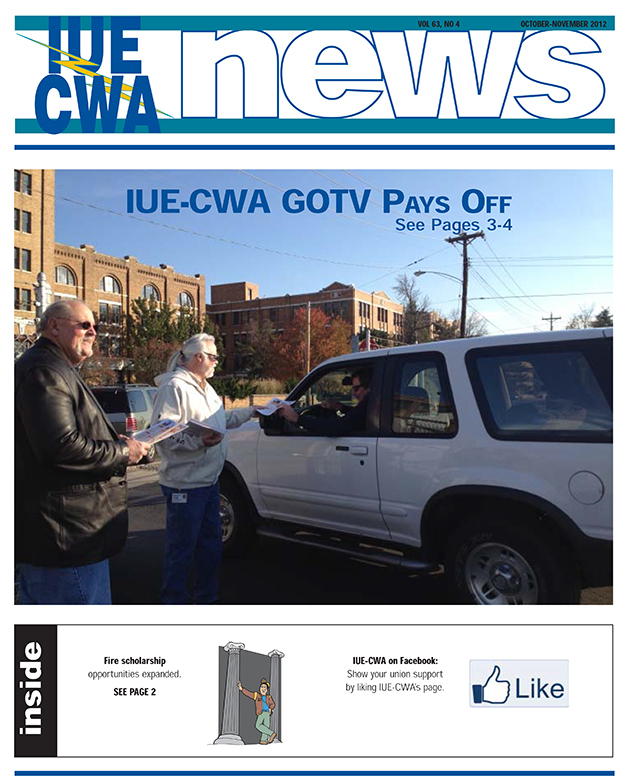 We have many locals throughout the country whose members are living in "right to work" states. 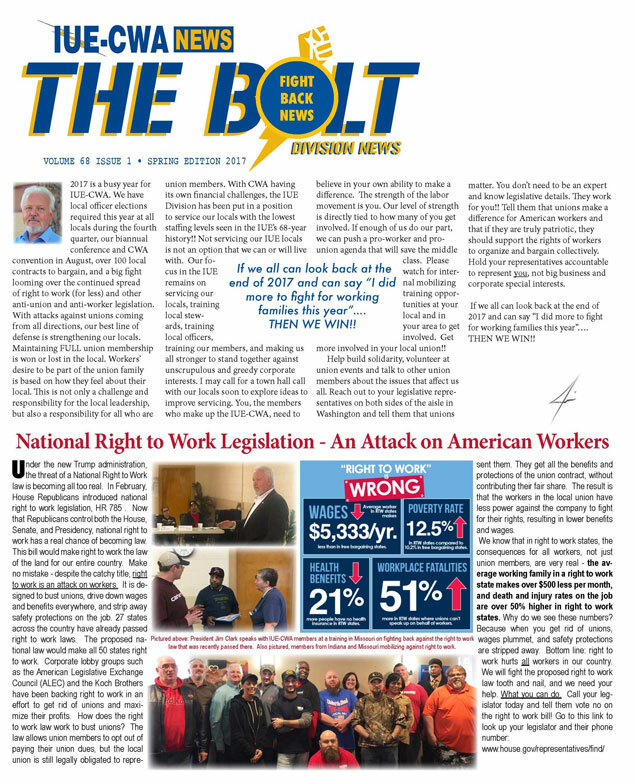 These laws are designed to bust unions, drive down wages, and give more profits to corporations. 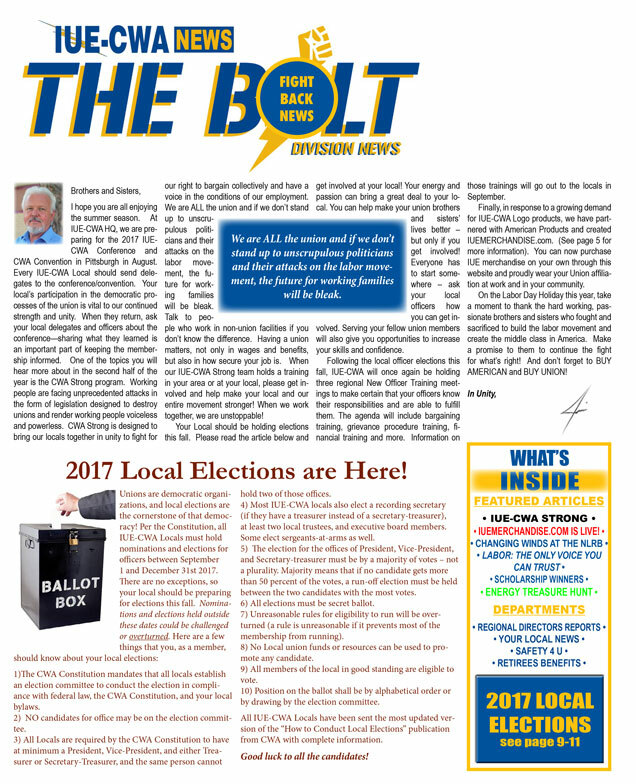 Have a story or idea for The Bolt? 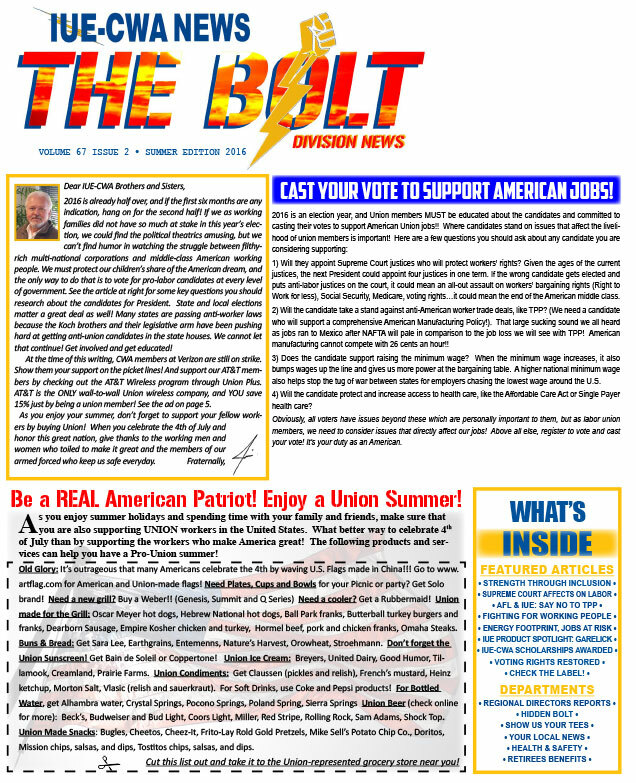 Download the News Story Idea form. 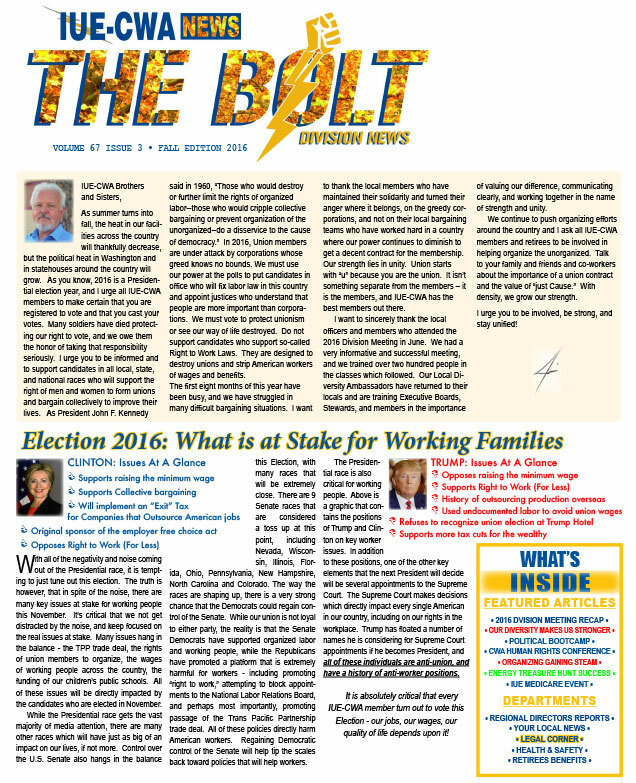 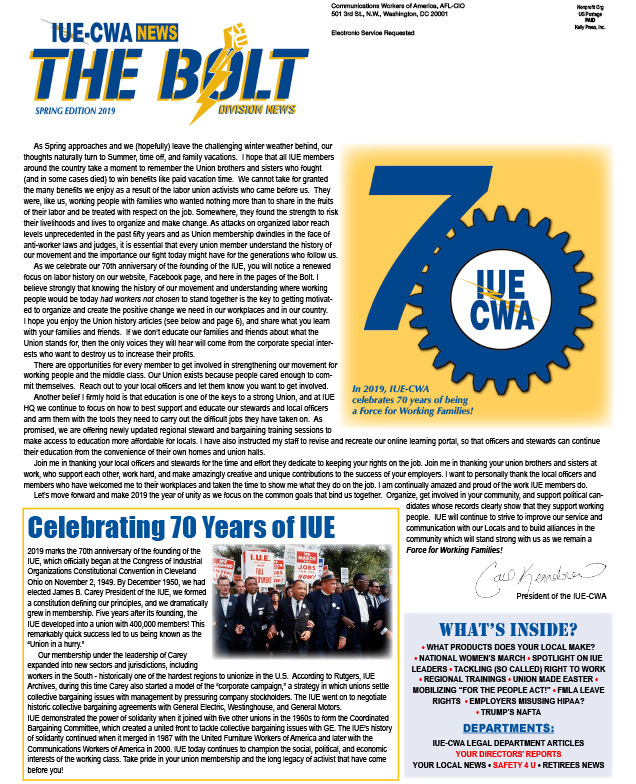 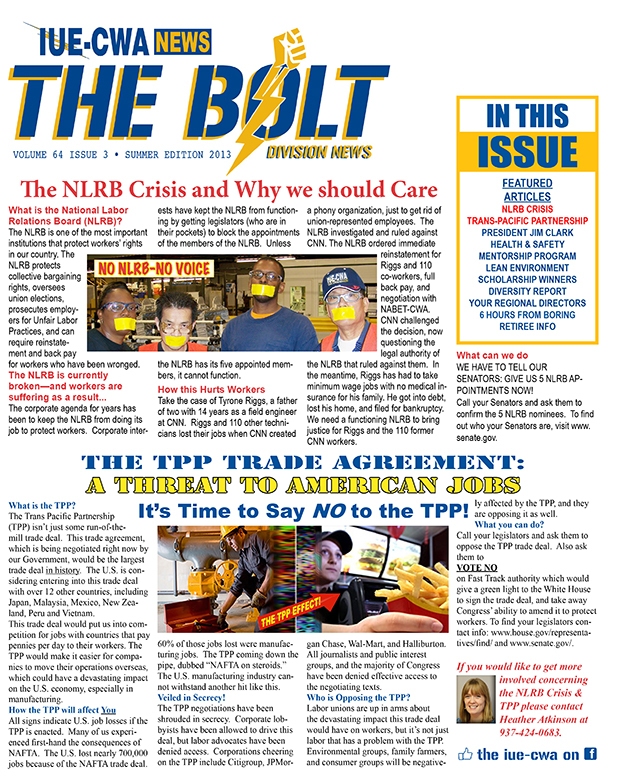 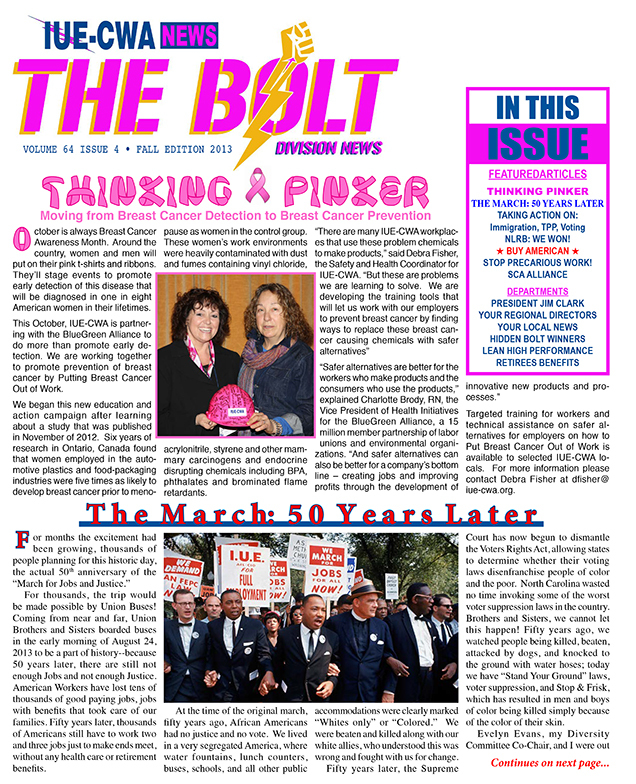 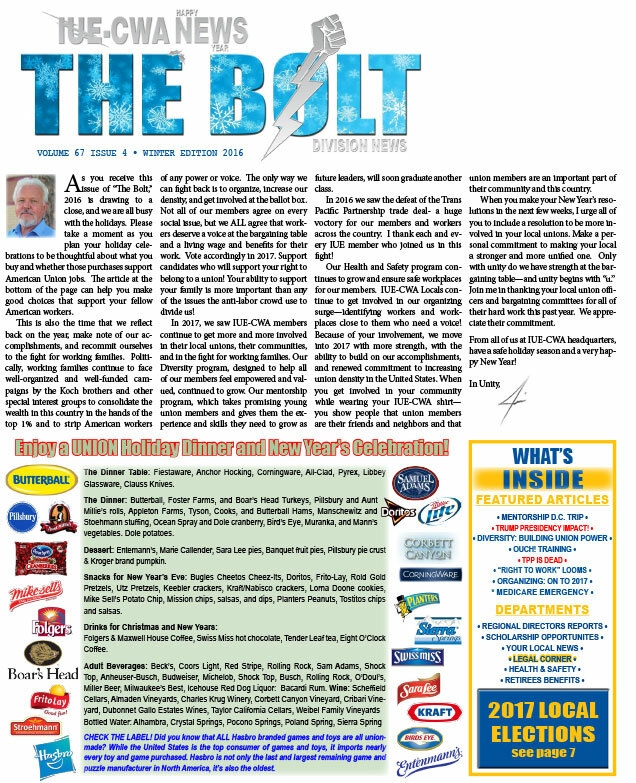 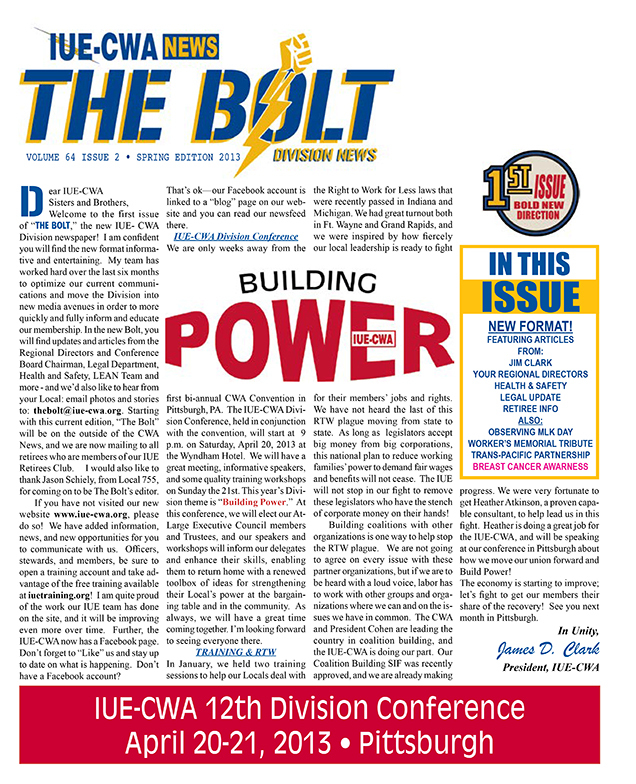 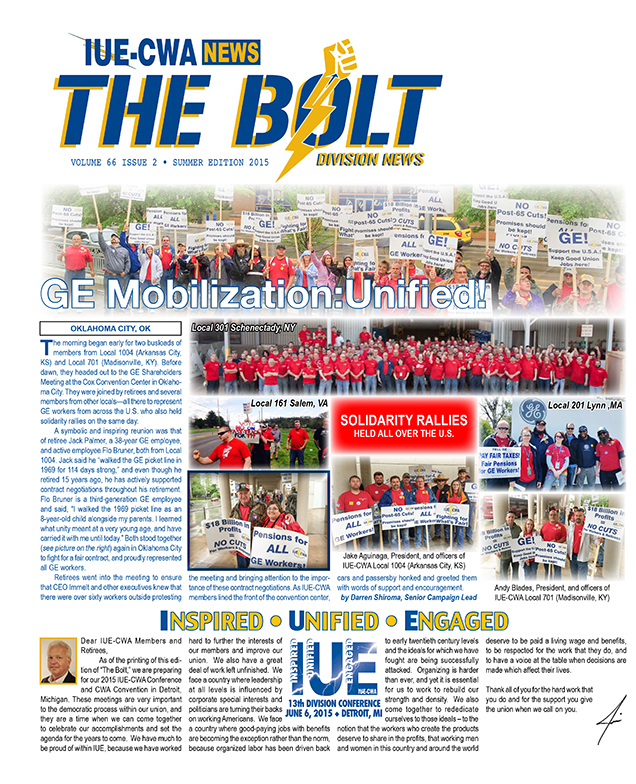 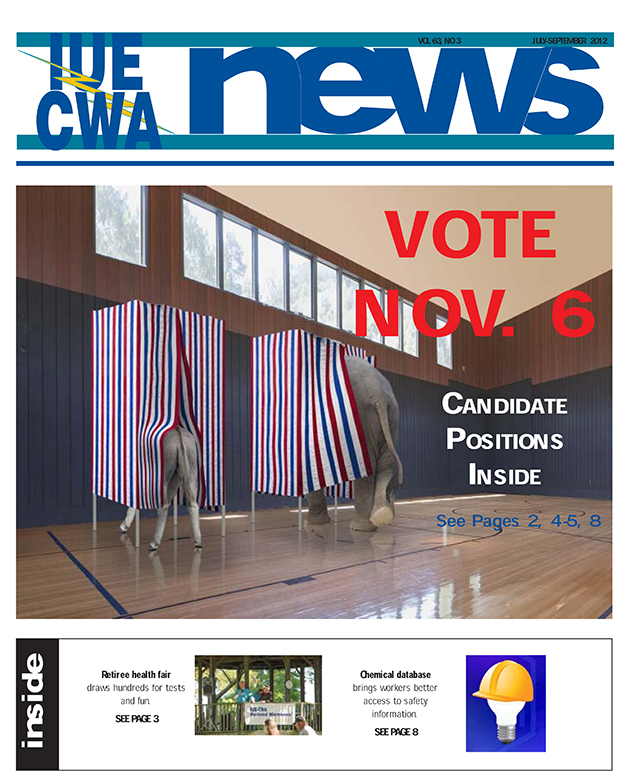 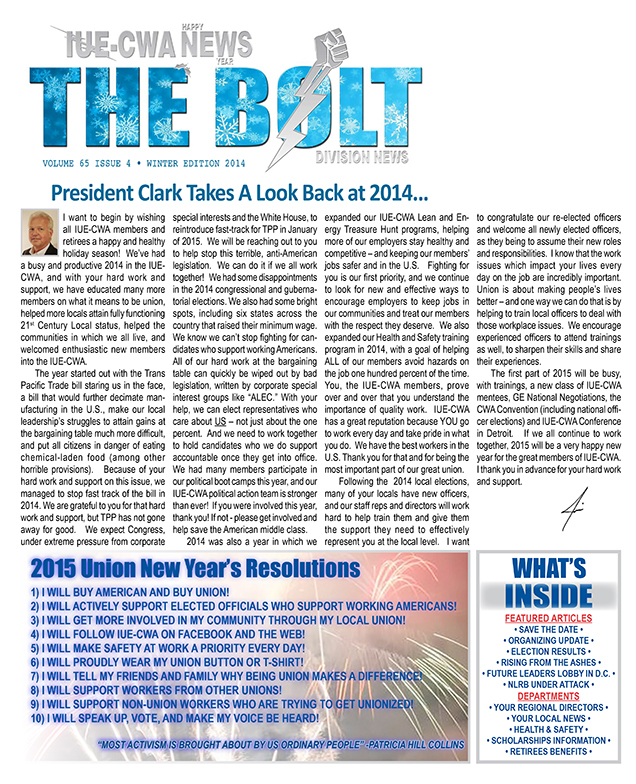 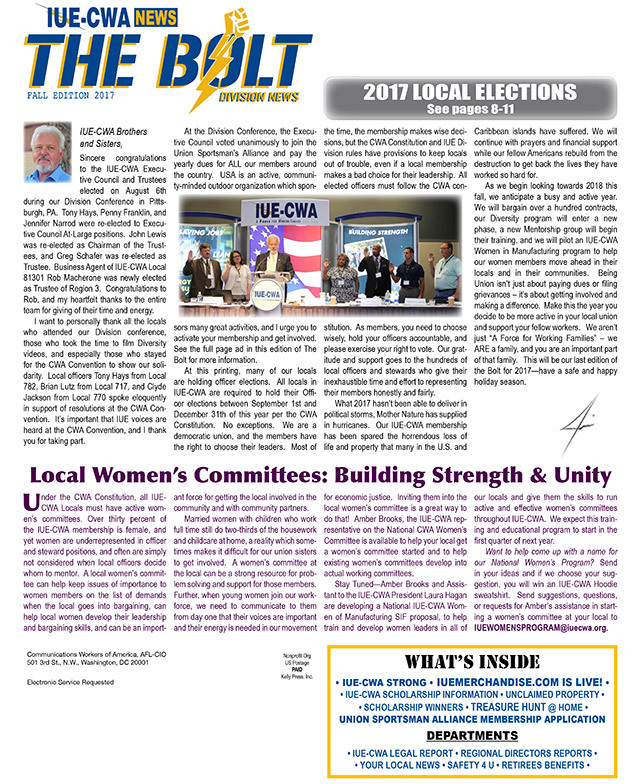 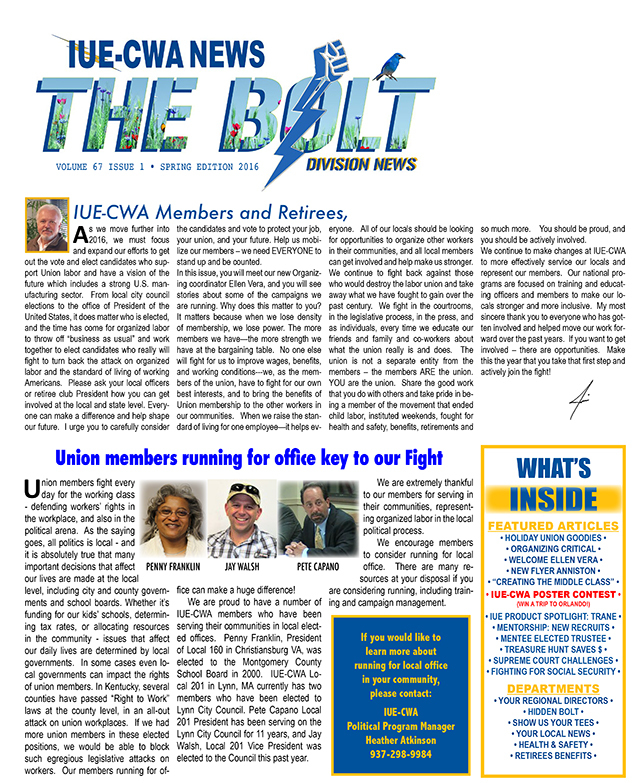 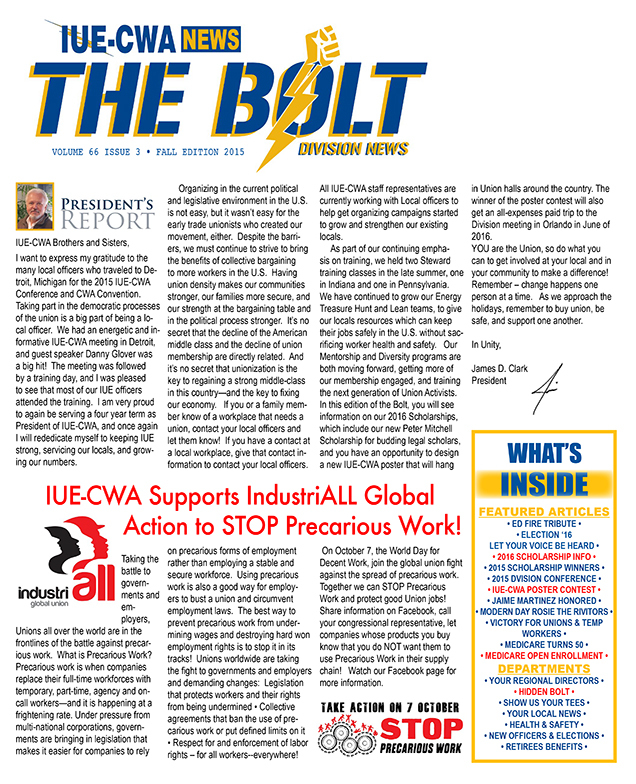 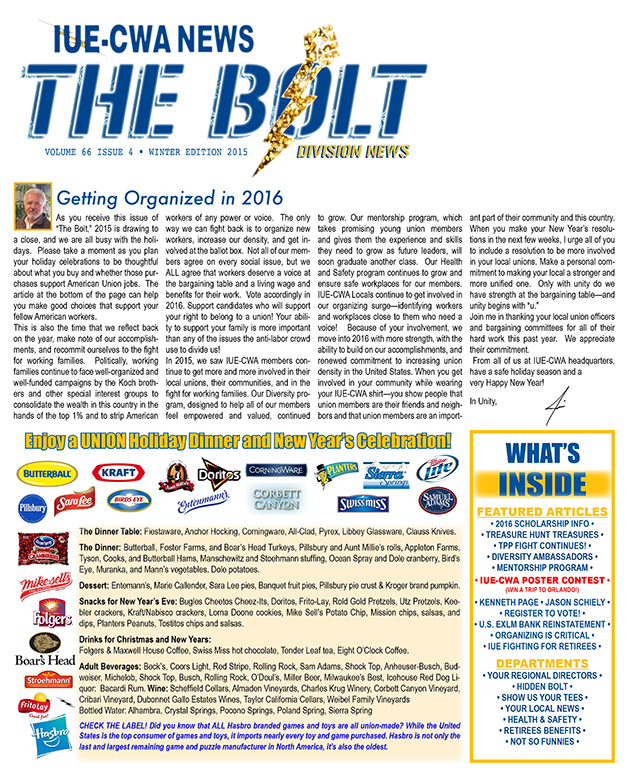 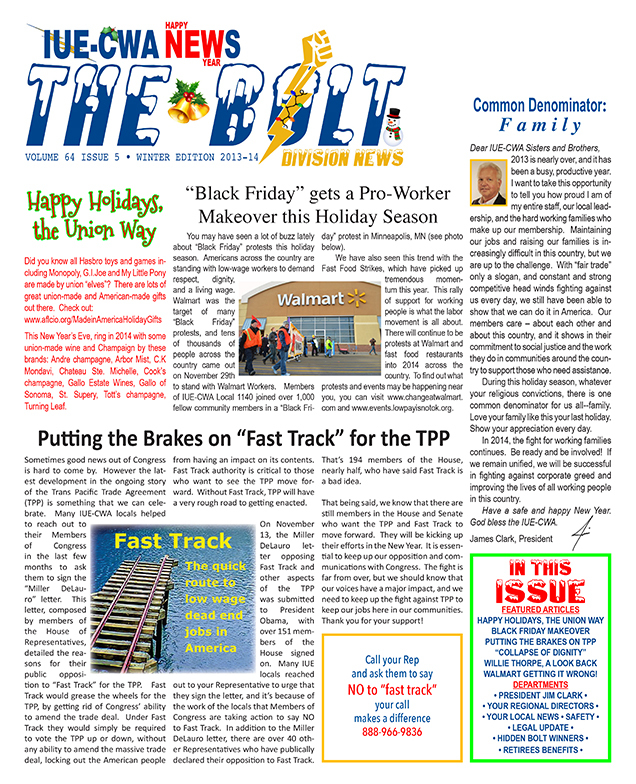 The latest edition of "The Bolt," the IUE-CWA News will be mailed to members and Retiree Club members quarterly. 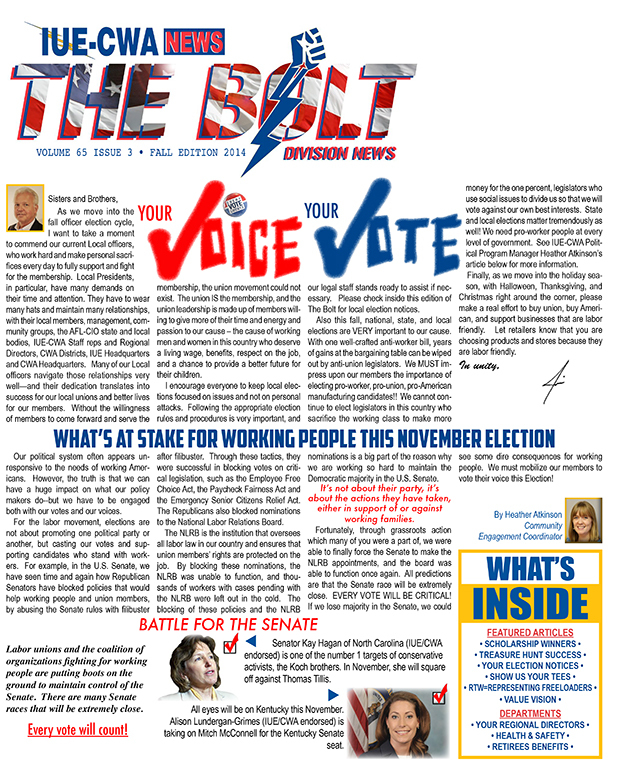 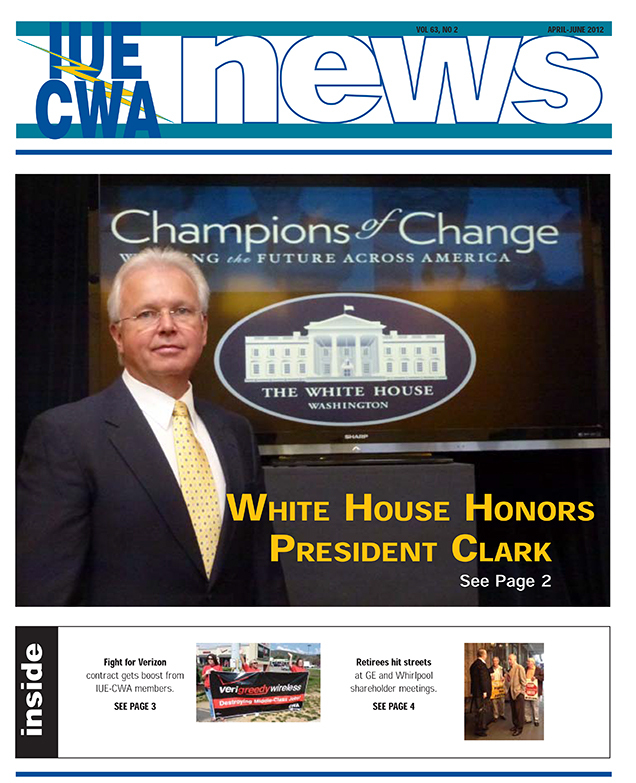 It will appear here when the next edition has been mailed to our members.